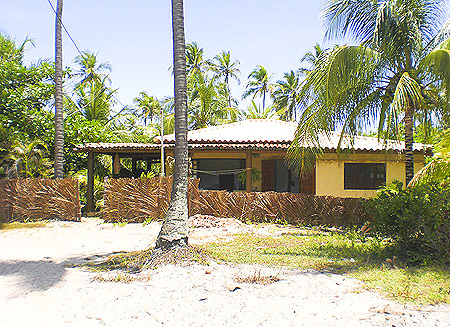 Delightful house in a prime location in Imbassai. 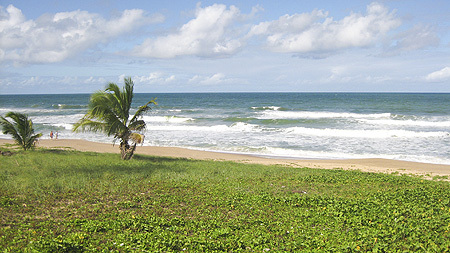 With the Atlantic just on the other side of the sand dune in front, there are no other houses between this and the sea. 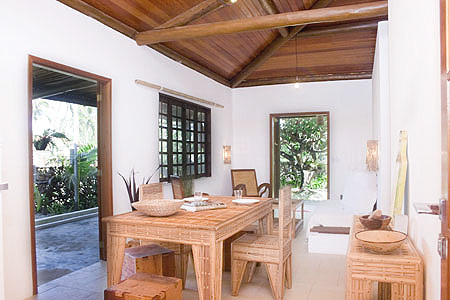 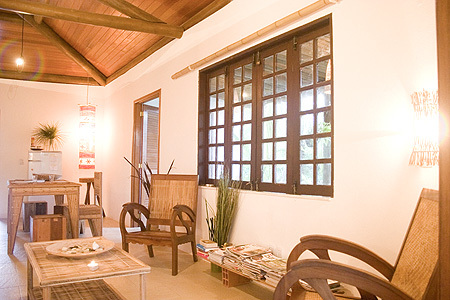 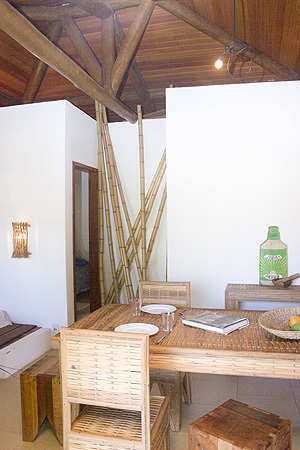 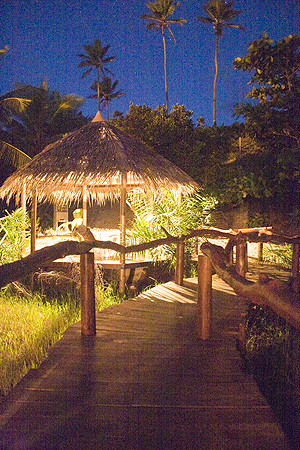 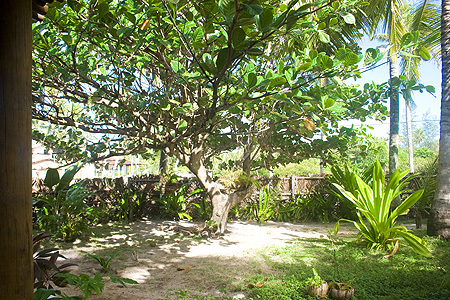 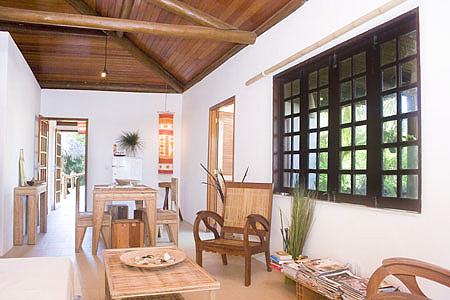 While the beach bars and village restaurants are just a short walk away, the home has a uniquely quiet, rustic feel of being in a breezy tropical paradise. 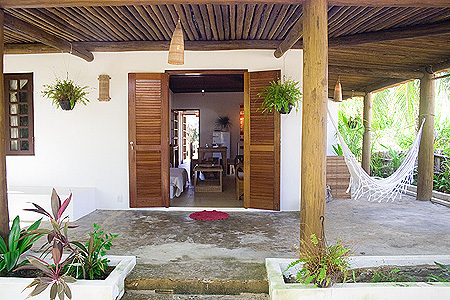 This is the perfect beach house for your unforgettable stay. 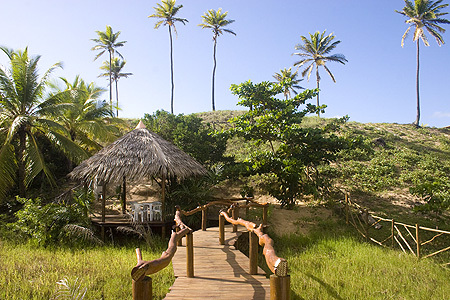 Imbassaí: Less than an hour’s drive north of Salvador’s international airport (SSA)is Imbassai, an idyllic oasis of peace and tranquility, located on a river which flows from a great sand dune into the Atlantic Ocean. 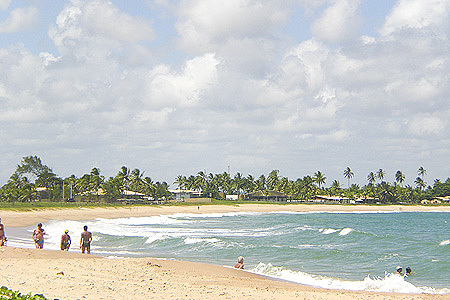 Between the beach area and the fresh water stretches a flat strip of land where the beach life is concentrated; the flat bank facing the river is an ideal playground for children. 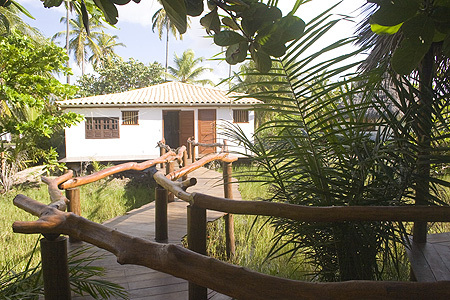 More rustic than neighboring Praia do Forte, the town boasts of some of the best restaurants in the area, frequented by a diverse, friendly and sophisticated mix of locals and tourists. 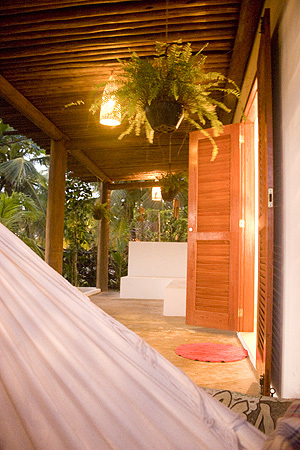 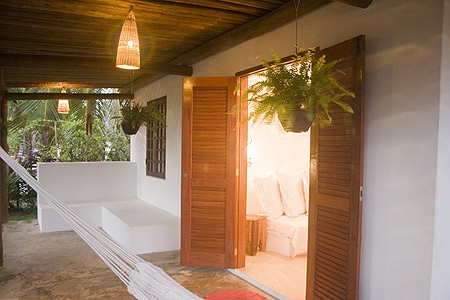 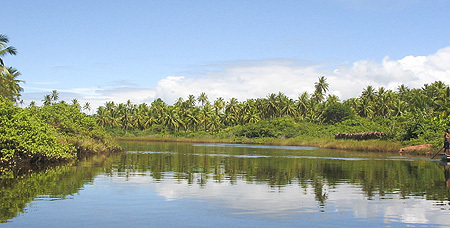 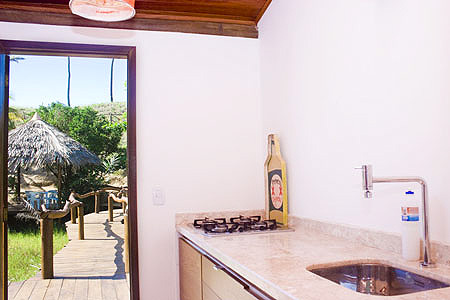 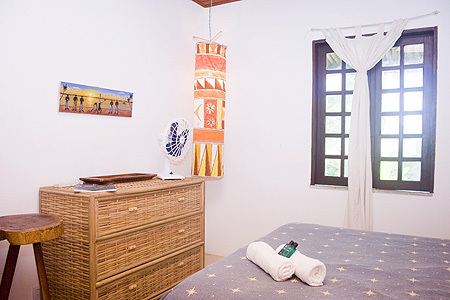 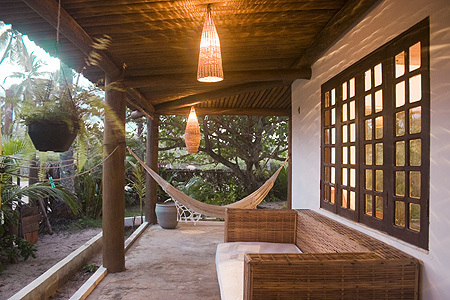 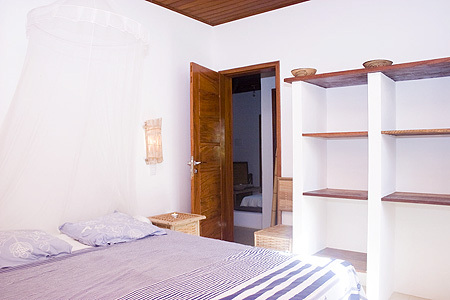 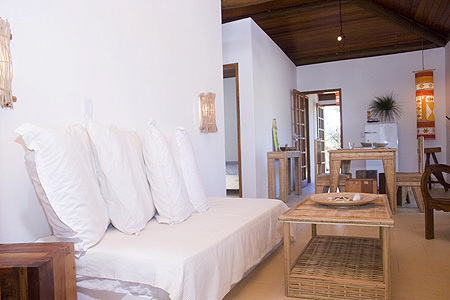 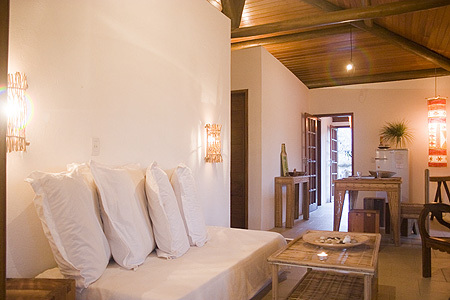 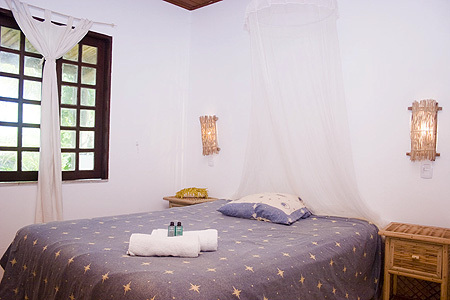 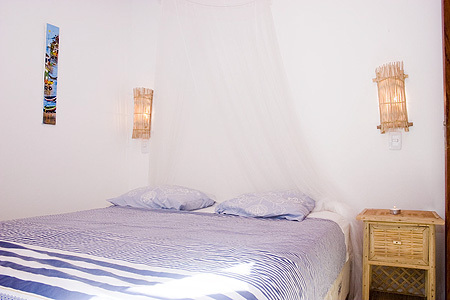 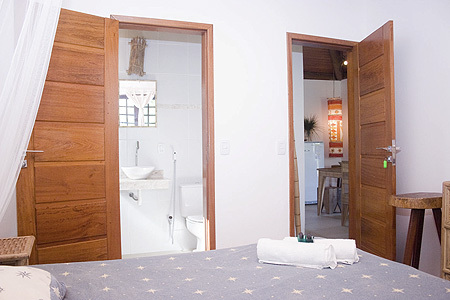 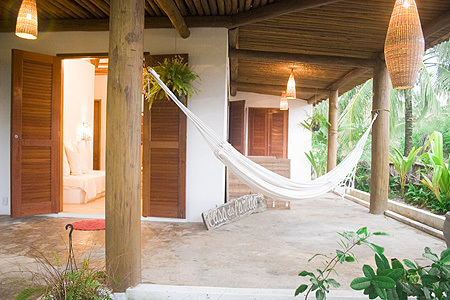 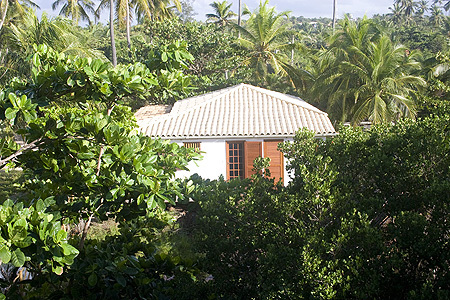 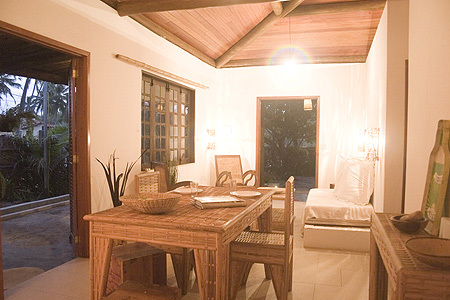 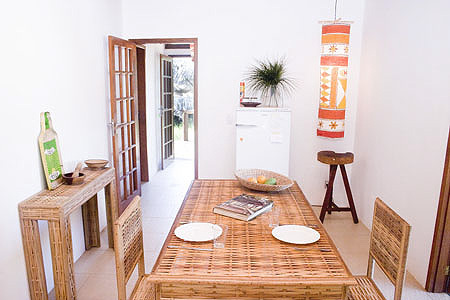 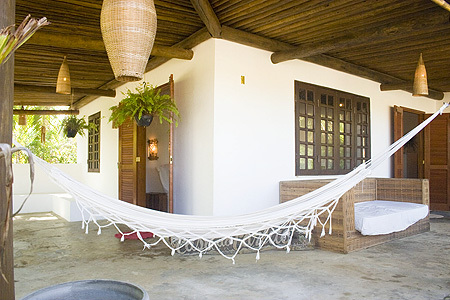 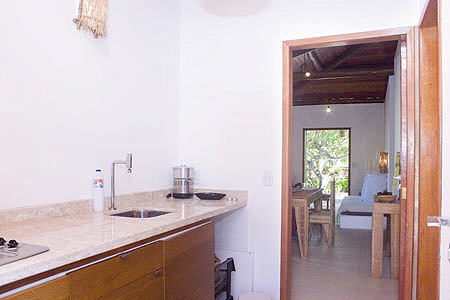 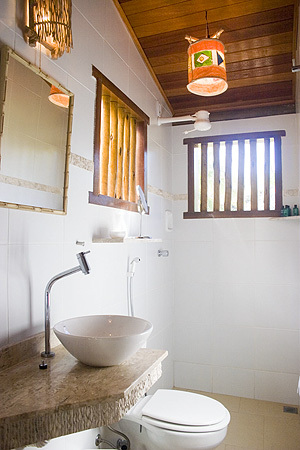 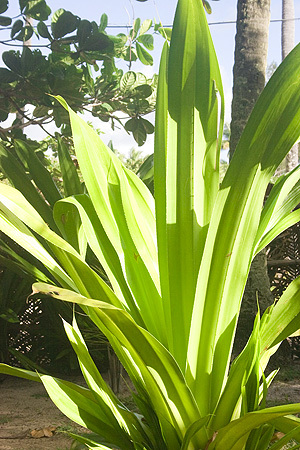 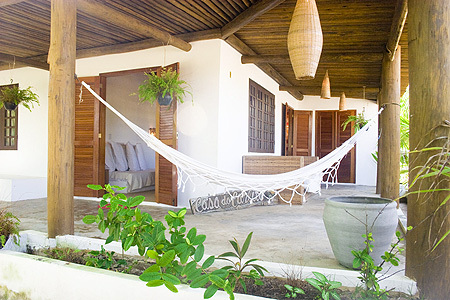 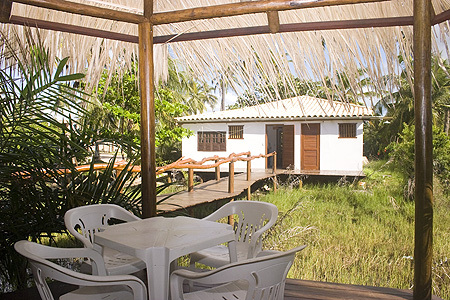 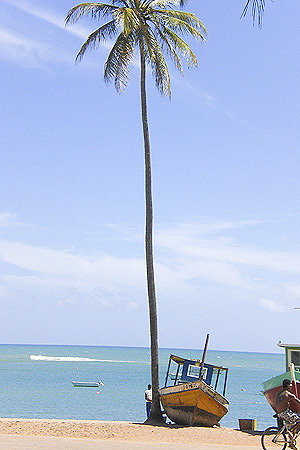 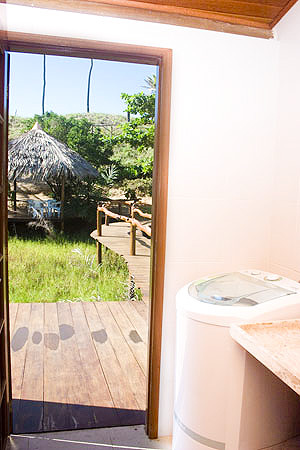 contact us © 2012 Paradise Properties Bahia.